We are pleased to publish excerpts from Tatul Hakobyan's upcoming book, with the working title Artsakh Diary , which deals with the tragedies of February 25-26, 1992 in Khojaly and of March 10, 1992 in Maragha, Nagorno Karabakh. “ The first casualty when war comes is truth.” These words said of World War I can be applied to Khojaly and Maragha as well. As military operations between Nagorno Karabakh and Azerbaijan continued, several countries and organizations offered their mediation in settling the conflict, and in working out a truce first of all. Iran was especially active. The OSCE and Russia began showing a serious interest as well. Armenian special envoy at the time David Shahnazaryan says that at first the West, and the United States in particular, didn't show serious interest in mediation. “Their policy at the time differed substantially from their present policy. They were not ready or even didn't want to assume any independent or active role. Their mission limited itself to the activity within the Minsk Group. At the time Russia was more active than the OSCE format in two ways – through the ministry of defense and the ministry of foreign affairs,” Shahnazaryan says. However, the high-level Armenian-Azerbaijani meetings and numerous intermediary missions and visits were unable to prevent bloodshed between the two neighbouring peoples. Moreover, strange as it may sound, the most tragic events would usually take place at times of active international mediation. One such instance was Khojaly; another was Maragha. "The first casualty when war comes is truth." These words uttered by a US senator following World War I might be also applied to the Karabakh war and, in particular, to Khojaly. What really happened in the second-largest Azerbaijani settlement in Nagorno Karabakh, Khojaly, and the adjacent territories on February 25-26, 1992 when the civilian population fled to Aghdam through the corridor provided by the Karabakh forces remains one of the most debatable and unclarified issues of the Karabakh war. At least two things are clear – the Karabakh forces left a corridor, and the civilian population suffered and a tragedy occurred. “But, apparently, Khojaly requires a separate explanation. That is to say, this was the village that found itself in the thick of military operations. As I see it, the warring parties should be very careful in using human settlements for military purposes and this is exactly what had happened in Khojaly. There were four GRAD flamethrowers stationed inside the village which were systematically firing upon Stepanakert. And when a place turns into a position for firing GRAD missiles then, naturally, it draws enemy fire. For that reason a situation emerged in Khojaly where heavy battles for the settlement took place and, the fact was, during these battles the civilian population suffered,” Kocharyan said. When British journalist Thomas de Vaal asked Serge Sargsyan to tell him about the seizure of Khojaly the Armenian minister of defense responded, “We prefer not to talk about that out loud.” As for the number of losses, Sargsyan insisted that many things had been exaggerated and the retreating Azerbaijanis had manifested strong military resistance. “But I think that the principal issue was completely different. Before Khojaly, Azerbaijanis thought that they could trifle with us; they thought Armenians were incapable of raising a hand against a civilian population. We were able to break this stereotype. This is what happened. And also we must take into consideration that among these men there were those who had escaped from the Baku and the Sumgait massacres,” Sargsyan said. The assertions that for several successive days the Karabakh forces had warned the civilian population of Khojaly to leave and had provided a corridor to this end have been confirmed by Azerbaijani sources as well. With the help of the local administration of Askeran, the reporter familiarized himself with the locality, walking through the areas that Khojaly residents had passed through. “After familiarizing myself with the geography of the area I can say for sure that the assumptions about the absence of a corridor are groundless. There was, in fact, a corridor, otherwise the residents of Khojaly, completely encircled and cut from the outside world, could not have broken through the circle and gotten out. For unknown reasons some of the Khojaly residents were directed toward Nakhichevanik. It looks like the detachments of the Popular Front aimed not at rescuing the residents of Khojaly but at bloodshed on the path to dethroning Mutalibov,” Fatulayev wrote. “If I declare that it was the fault of the Azerbaijani opposition I could be blamed for slander. But the overall picture of the conclusions is as follows: the Armenians had, in any case, provided a corridor to let the civilians escape. Why then would they shoot? Moreover, in the vicinity of Aghdam where at the time there was sufficient force present to assist people? Or they could have just agreed that the civilians leave… The Aghdam detachment was located nearby and was obliged to seriously follow the development of events. As soon as Khojaly was surrounded by tanks it was necessary to immediately lead the civilians out. Earlier I had given similar orders regarding Shushi – to evacuate women and children and to leave only men in the city. It's one of the laws of war – civilians must be rescued. My conduct was appropriate and unambiguous – I gave such orders, but why they weren't followed in Khojaly is not clear to me,” Mutalibov said. In succeeding years as well Mutalibov continued to insist, with some corrections, that Armenians had left a corridor for the civilian population to leave. “In the evening of February 25 th the late Minister of the Interior Tofik Kerimov reported to me on what had happened, but without details. He said that several hundred people had been shot in Khojaly itself. The first thing I did at the time was to telephone the leader of Nagorno Karabakh, a certain Mkrtchyan. I didn't know him, had never seen him but I knew his name. I asked him angrily how it was possible to shoot nearly a thousand civilians in Khojaly. He responded word-for-word as follows: ‘It's nonsense! We didn't shoot anyone in Khojaly. When we took Khojaly, the residents had already left, since we had opened a corridor for them. Some of the residents are still there; they are staying in the building of the vocational school. We feed them, though we too have a shortage of food.' I didn't believe him and asked him to call Armen Isagulov, who was the head of the police department at the time, to the phone. He too told me that they had provided a corridor for the residents. That is why when I gave an interview then I said that I was told that a corridor had been opened for the civilian population. But I didn't assert whether the corridor had in fact been provided or not. I just appealed to the fact of the telephone conversation… By the way, it is written in black and white in the report by the Memorial Human Rights Center that Elman Mamedov had been personally informed of the provision of the corridor,” Mutalibov said later on. News of the Khojaly tragedy reached Baku in the evening of February 25, 1992 – that is, before the Karabakh forces started the military operations. Neither Minister of the Interior Kerimov nor Minister of National Security Huseinov was able to identify the source of that disinformation. And on the morning of February 26, Ayaz Mutalibov telephoned the Speaker of the Nagorno Karabakh parliament, Artur Mkrtchyan, and the head of the police department, Armen Isagulov, to find out what had really happened. British journalist Thomas de Vaal believes that the Khojaly attack began on the night of February 26 - in commemoration of the anti-Armenian pogroms in Sumgait that had taken place four years earlier in February 1988. “The 366 th regiment of the Soviet Army supported the Armenians with armoured equipment. They surrounded Khojaly on three sides, after which the Armenian soldiers entered the city and suppressed the resistance of the local defenders,” de Vaal wrote. There seem to be some inaccuracies here. First, would it have been logical for the Karabakh forces to seize Khojaly in the days of remembrance of the Sumgait massacre? Besides, the Sumgait events took place on February 27 and 28, so according to the logic of “taking revenge” the Karabakh forces should have started the attack on Khojaly on the night of February 27. The capture of Khojaly was of invaluable significance for the Karabakh forces and today, years after the cessation of military operations, assumptions regarding the approximate coincidence of certain dates are beside the point. After all, Khojaly and the whole Karabakh conflict was a ruthless war in the harshest sense, and who would have been thinking about historical parallels? Furthermore, both Azerbaijani and Armenian sources insist that the Karabakh forces had been planning the Khojaly attack for an earlier date but for some reasons had postponed it. In mid-February on the eve of his visit to Iran, Ayaz Mutalibov ordered the Shushi commandant, Rahim Ghaziyev, to maintain a truce in his absence and not to fire in the direction of Stepanakert. But within hours after his departure to Iran, a fierce bombardment of Stepanakert and, in particular, the 366 th motorized regiment began. In response, the Karabakh forces attacked Khojaly. The exchange of fire lasted for a few days – from February 14 to February 16. “Shells rained down on us from Stepanakert. It was a nightmare. I gave the order to open fire on Stepanakert from the Grad missile system. Our soldiers could not fire accurately using the coordinates. Four of the Grad barrels were out of order. One of our soldiers climbed up the [Shushi] tower and was telling us whether the shells had fallen on the military camp or not. Suddenly he shouted that several shells had hit the camp. Five of the regiment's armored vehicles were destroyed,” Ghaziyev recalled. Before Khojaly the Karabakh forces had already had the experience of successful military operations in several other locations. The head of the standing committee on foreign relations of the Nagorno Karabakh parliament, Levon Melik-Shahnazarov, wrote that military successes in Togh and Sarinshen had been followed by victories in Lesnui (Meshali), Malibeylii, and Ashaghi Ghushchular (these operations were planned by Arkady Ter-Tadevosyan; the commander in charge was Valery Babayan) and that heavy fighting had resulted in the liberation of the Stepanakert suburb of Krkzhan. “It's hard to overestimate the significance of Khojaly for both the Armenians and the Azerbaijanis. Khojaly separated the south of Karabakh from the north. Nagorno Karabakh's only airport was located in Khojaly and for the blockaded Artsakh Armenians, it was the sole link to the outside world. And finally, Khojaly was also used for bombarding Stepanakert and other Armenian settlements,” Melik-Shahnazaryan wrote. The Khojaly operation was planned and headed by the commander of the Karabakh Forces, Arkady Ter-Tadevosyan, known as Commandos. The Karabakh military units were supposed to enter Khojaly from four directions: first from Mehtishen, second from Noragyugh, third from Katuk and fourth from the vicinity of the airport. A corridor for the civilians and the retreating Azerbaijani soldiers was left along the Karkar River. “Besides, some weeks before the attack the Karabakh side had repeatedly warned Baku and the residents of Khojaly that the city would be attacked. The Karabakh forces employed such tactics throughout the course of the entire war. This had a dual purpose. First, to spread panic among the residents and to make the civilians leave before the military operations began and, second, the absence of the civilian population demoralizes the army, its desire to fight withers and the soldiers think above all about not getting killed and, if possible, running away. Under such circumstances, as the subsequent military operations showed, the Karabakh side suffered unbelievably fewer losses,” Melik-Shahnazaryan wrote. The Khojaly operation began at 11:00 p.m. on February 25, that is, a few hours after Mutalibov was informed about the massacre of the civilian population of Khojaly. Some two and a half hours later it had become clear from the exchange of radio messages by Azerbaijani radio operators that the military were abandoning the city along with the civilians. Only one unit fortified its position in a five-story building and put up resistance, but by 4:00 a.m. on February 26 some of them had been destroyed and others had surrendered. Was it possible that reinforcements could have been brought up to Khojaly from Aghdam, which was, at the time, controlled by military units of the Popular Front? In fact, Khojaly was surrounded on four sides and from the military standpoint its defense was vulnerable. The contacts between Khojaly and other settlements in Azerbaijan and Aghdam, in particular, were maintained by means of helicopters. The last flight to Khojaly before the Karabakh forces captured the city took place on February 13. According to various estimates, about 3,000 residents remained in Khojaly as of February 25 and the commander of the airport emergency platoon with its 160 soldiers, Arif Hajiyev, was in charge of the defense of the city. During the Khojaly operation the minister of defense of Azerbaijan was Tair Aliyev, who had held this position for a very short period of time. In fact, over the course of six months in 1991-1992 there were four ministers of defense in Azerbaijan, which, in itself, is nonsense for a warring state. 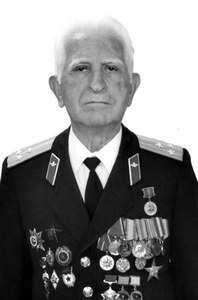 The first defense minister was Soviet Army General Valeh Barshadly. Soon after he was replaced by Tajeddin Mehtiyev, who was forced to resign after the defeat in Karintak. Mehtiyev was replaced by Tair Aliyev. On March 17, after the Khojaly operation and the resignation of President Mutalibov, Rasim Ghaziyev was appointed defense minister. “After the capture of Khojaly, our troops found 11 bodies of civilian residents, not counting, of course, the losses among the Azerbaijani military. Another several hundred civilians - more precisely 734 people – some of whom were Meskheti Turks, were brought to Stepanakert. By February 28 all the captive Khojaly residents had been handed over to the Azerbaijani side,” Melik-Shahnazaryan wrote. The Meskheti Turks had been resettled in Khojaly since 1989. Azerbaijan had gradually resettled about one thousand Meskheti Turks expelled from Uzbekistan in Khojaly, thus artificially increasing the population of the town. If in 1989 there were about 1,600 residents in Khojaly, in 1991 this number had reached 6,300, and that year Khojaly was given a status of a town. Political analyst David Babayan says that according to the 1926 census Khojaly was a completely Armenian village with 888 residents. “In the 1950s Azerbaijanis began settling in Khojaly and by the early 1960s an Azerbaijani village of Khojaly had emerged next to the Armenian one. By 1977, no one talked about the Armenian Khojaly anymore. By 1989 Khojaly was already a completely Azerbaijani village with 1,661 Azerbaijani residents,” Babayan said. The greatest human tragedy in the days of the Karabakh war was undoubtedly Khojaly. During no other military operation did so many civilians, including women and children, suffer as in Khojaly. The actual number of the people killed is still debated today—differing figures are put forth and official Baku continues to use the Khojaly tragedy for its own political ends. How many people were killed in Khojaly? Different numbers have been put forward at different times – from 200 to more than 600. Thomas de Vaal considers the number made public following the investigation conducted by the Azerbaijani parliament, 485 people, to be most realistic. This number includes all the people killed during the Khojaly operation, including those who froze to death during the escape. A member of the parliamentary commission, Namik Aliyev, told the visiting Helsinki Watch team in April 1992 that 213 residents of Khojaly had been buried in Aghdam. Another official, Aydin Rasulov, assured the same team members that the number of civilians killed exceeded 300 - not counting those who had frozen to death on the way to Aghdam. On February 27, 1992 the imam of the Aghdam mosque showed American journalist Thomas Goltz a list of 477 names of people killed. The same year Azerbaijani newspaper Ordu printed a list of 636 people killed in Khojaly. Azerbaijani cameraman Chingiz Mustafayev shot footage in the vicinity of Aghdam first on February 29 th and then on March 2 nd . It was his footage that was shown at the extraordinary session of the Azerbaijani parliament. The locality where Mustafayev had filmed the corpses was under Azerbaijani control, or more precisely, under the control of armed units of the Popular Front – this can be clearly seen from the footage. It is a fact that the corpses had been mutilated before the second time Mustafayev filmed on March 2 nd . Mustafayev informed Mutalibov of this. It was President Mutalibov, incidentally, who had sent him to film the scene. According to certain information, Mutalibov warned: “Chingiz, don't say a word to anyone that something is wrong, or they will kill you.” The area where the corpses were mutilated was at a distance of a few hundred meters from the positions of the Popular Front and was easily controlled by snipers. Mustafayev simply would not have been able to film in those areas if they had they been under the control of the Karabakh forces. A few months later Mustafayev was killed while doing routine filming inside a sector of military operations controlled by the military units of the Popular Front. Why he was killed is still debated. The Karabakh side insists that Mustafayev was a victim of Khojaly. Both Mutalibov and Mustafayev firmly believed that the Popular Front had tried to come to power by taking advantage of the Khojaly tragedy. This is what happened immediately after Khojaly, and what is more, it was Mustafayev's footage that was used to accuse Mutalibov. Tens of thousands of protesters gathered in front of the Azerbaijani parliament building to demand Ayaz Mutalibov's resignation. During the March 5, 1992 extraordinary session of the Supreme Council of Azerbaijan, Elmira Kafarova submitted her resignation and the Dean of the Medical Department at Baku University, Yaghub Mamedov, was elected speaker of parliament. The demonstrators kept the parliament building under siege, holding parliament members inside. Mutalibov called the unfolding events a “coup d'etat”. On March 6 th he resigned and Mamedov became the acting president until the presidential election was held. The traditional anti-Armenian campaign connected with the events of 1992 in Khodjalu settlement begins in Azerbaijan. At that, the official Azerbaijani propaganda does not disdain to use any methods and means to display the Armenian side as a party responsible for the tragedy and to inject another portion of poison of Armenian phobia into the world public consciousness and the consciousness of its own people. Moreover, Baku goes on circulating the already unmasked frauds. Thus, next year the Ministry of Foreign Affairs of the Nagorno Karabakh Republic drew the public’s attention to a forged photograph exposed in a number of Azerbaijani websites, including the website of “Heydar Aliyev Foundation”, which is very respectable in Azerbaijan (www.azerbaijan.az). It has been mentioned, that the propaganda machine of the neighboring republic tries to use the fact that besides a great number of corpses of civilians in the foreground of the photograph, outskirts of a settlement are seen in the background, which, in principle, should add verisimilitude to Baku’s version on mass killings of Azerbaijanis in Khodjalu. Meanwhile, color version of the above-mentioned photograph absolutely refutes it, namely the faces of the deceased, their garments, etc. In fact, this photograph is directly connected with the events in Kosovo. Namely as that the photograph along with a great number of the others was exhibited in one Serbian, one Albanian, and in one specialized German forum, in internet-page of reputable edition “New York Times” etc. However, the mentioned undisguised fraud still remains in a number of Azerbaijani sites, thus deluding those uninformed. Booklets with similar fraud are circulating all over the world. The NKR MFA Information Department reminds that on February 25-26, 1992, the Karabakhi side launched a military operation to release the only airport of the republic, situated near Khodjalu settlement and to neutralize the weapon emplacements of the enemy in Khodjalu, from where since summer of 1991 the populated areas of Nagorno Karabakh have been regularly exposed to attacks of the Azerbaijani special police squads (OMON), artillery bombardments from “Alazan”, “Crystal” and rocket facility of volley fire “Grad”. The release of the airport and neutralization of weapon emplacements of enemy in Khodjalu was of vital importance for the NKR people. The subunits of the NKR Defense Army granted a corridor to the peaceful population for safe and timely leaving the battle zone and the Azerbaijani side was informed of it beforehand. It is well-known that the NKR authorities informed the Azerbaijani side of preparation for the neutralization of the Khojalu weapon emplacements two months prior to the operation and that was repeatedly confirmed by the officials of Azerbaijan, in particular, by the then president Ayaz Mutalibov. However, the leadership of Azerbaijan did not undertake anything to help the peaceful population to leave the battle zone. Moreover, a column of peaceful population was shot near the border of Aghdam region, which was later on confirmed by Mutalibov, who connected the crime with the opposition’s efforts to remove him from the office by making him responsible for everything. The territory where subsequently many corpses were filmed is 3 km far from Aghdam and 11 km from Khojalu. Up to the fall of Aghdam (summer 1993) this area was under permanent control of the Azerbaijani units, which excluded the access of the Karabakhi self -defense units there. Some details of this military operation are so far shrouded in mystery and namely using this circumstance official Baku tries to profit from it to gain its political goals. It is noteworthy, that all the propaganda is being carried out with pronounced anti-Armenian insinuations and is used for forcing ethnic intolerance and hatred towards Armenians among Azerbaijanis. Unfortunately, the topic of “khodjalu” remains to be one of the cornerstones of the Azerbaijani domestic and foreign information or rather misinformation policy within the context of the Karabakh problem in general. In early 1992, on the night of 26 February Armenian troops neutralized Khojaly and the operation was successfully completed. Khojaly had an important strategic geographical occupation it controlled over Stepanakert-Askeran roads, as well as the only airport of Nagorno Karabakh was situated there. Though the Armenian party informed the Azeris, and the civilian population was given an opportunity to leave the area through a safe corridor, thousands of Azeri Turks were dead in the aftermaths of the military activities. Khojaly events give birth to many questions. For example, why the civilian population was not isolated from the area, taking into account the point that according to Azeri mass media the cattle was successfully isolated from the area? Another important point is the fact that many dead people from civilians were found in the territory of Azerbaijan just next to the Azeri military points. They keep silence regarding the fact that Armenian troops found many Azeri who were lost and helped them. Those dark pages of Khojaly events remained unrevealed and some years later it was labeled as tragedy and an anti-Armenian campaign launched all over the world. Every February-March special events commemorating those victims are held by Azeri and Turkish communities, different organizations which have one mission to inform as many foreigners as possible about Armenian fascism and terror. Those activities are well planned to veil Armenian campaign of Sumgait genocide and Armenian Lieutenant Gurgen Margaryans murder. During the year Turkey uses Khojaly as a card opposing to Great Armenian Genocide. elite of Baku which led to the tragic deaths of civilians in Khojaly. while 7 more language translations will follow soon. Karabakh between November 1991 and February 1992. Azerbaijani government, the media and 'expert community'. more than 100.000 people watched the film on YouTube channel. many who disseminated the movie across international community. Armenians as possible through large Global Email database. the specifics of the operation to breach the blockade. Khojaly village and around Aghdam region. “Between hunger and fire. Power at the expense of lives” -- This is a new, two-series English-language documentary that tells about the blockade of Stepanakert – capital of Nagorno Karabakh Republic – in between November 1991 and February 1992. The film uncovers a story of bombardments, country-wide destructions and atrocity crimes against local Armenian population, as well as maneuvers of Karabakh Self-Defense forces to calm down the heavy-artillery fire from around the surrounding hills of the capital, foremost stationed in Khojaly town. The 90-minute, two-part documentary, released on YouTube ( ), gathered around 210.000 viewers in around a week, and counting. The documentary was originally released in Russian in February 2012 ( ), and attracted considerable attention and interest in Armenia and beyond. The “Moscow” cinema of Yerevan, various local universities hosted public screenings, discussions and lectures on the film. The documentary, part of larger endeavours, has been initiated by the Information and Public Relations Centre of the Administration of the President of Armenia. A heavyweight against the anti-Armenian propaganda and policy of racism, sponsored by Azerbaijani government and affiliated funds, the documentary is available in English either – for the wider international community to have a wider perspective on the Khojaly events and the Karabakh liberation war at all. It is noteworthy that the European Court of Human Rights (ECHR) has ruled in Fatulayev v. Azerbaijan case (2010), that freedom of speech, pluralism and tolerance are essential values for an eventual democratic governance in Azerbaijan, which it aspires to have -- to the contrary of human rights watchdog annual reports. “Moreover, the Court notes that it is an integral part of freedom of expression to seek historical truth… For example, there are conflicting views as to whether a safe escape corridor was provided to the civilians fleeing their town…” (para 87). First-time ever published archival documents, testimonies, photographs, maps and interviews recollect the developments of those days of war in February 1992, offering new evidences and challenging facts against the anti-Armenian and racist propaganda of hatred and xenophobia, championed by Azerbaijan and its government affiliated funds, which had been presenting ‘Khojaly events’ in a carefully ‘doctored’ and ‘tailored’ way so far. The film is considered for an audience of 18 and over only, as it contains detailed violence content and uncovered photographs that may cause mental unrest. "MUTALLIBOV DEMANDED THAT GORBACHEV DEPORT ARMENIANS FROM KARABAKH"
Armenians, while Mutallibov himself in the 1990s demanded that M.
Gorbachev should deport all Armenians from Karabakh. in return for that, but I refused," the speaker noted. that Azerbaijan recognize the independence of Nagorno Karabakh. misinformation concerning the Ring operation and the Khojalu events. community members attended the demonstration of the film. PanARMENIAN.Net - 30,000 people died in the Nagorno Karabakh war, and one million were displaced from their homes, and many more live with the ongoing effects of this unresolved conflict. Despite this widespread human tragedy, the fate of those that lost their lives during the events in and around Khojalu on February 26, 1992, have gained a disproportionate amount of notoriety and publicity. 20 years later, the facts of what happened that night have been consumed by the mythology and sensationalism propagated by the Azerbaijani government, Russell Pollard, an English photojournalist and writer, says in his article published on Artsakh.org.uk, the website he founded 18 months ago. “Throughout the many texts that report on the events in Khojalu the only consistent piece of data, now, is the number of people who were alleged to have been killed that night –“ 613”, although this number has almost doubled since 1994. Khojalu was a strategic location, with it being the site of the only airport in the original Nagorno-Karabakh Autonomous Oblast (NKAO) as well as a military base from which attacks were being launched onto Stepanakert; it was a key element in the Azerbaijani blockade of the region, together with Aghdam, and Shushi. The airport was home to the OMON (Special Purpose Mobile Unit – Police/Army) of Azerbaijan who were notorious for their tactics against Armenians,” Mr. Pollard reminds. “The Armenian plan was to neutralize the military hardware, seize the airport, and occupy the city. To avoid unnecessary loss of life the Armenians gave the people of Khojalu, and the authorities, notice of this plan, in order that they could evacuate themselves. This was confirmed in an interview between Chingiz Mustafayev (Azerbaijani journalist) and Elman Mammadov (Head of the Khojalu Executive Board) held in the following few months before Mustafayev’s death in June 1992. So why weren’t all of the population evacuated, leaving the military to defend the city against the Armenians. One could surmise that maintaining a “human shield” was a useful “military strategy”, particularly as the Meskhetian Turks were not “true” Azerbaijanis. Ultimately it was convenient for the Azerbaijanis to “blur the lines” between the military and the civilians. This was used to greater effect on February 25/26th,” he writes. The theory that everyone was killed in Khojalu puts all the blame on the Armenians and is convenient. Knowing that people were deliberately taken in the wrong direction, and died as a result, would be most embarrassing for the Azerbaijani government, Mr. Pollard says. “The facts of the 26th February 1992 are very complex and we are unlikely, ever, to discover the absolute truth. It is clear that the citizens of Khojalu died in different ways in a variety of locations for many reasons and through the actions of all involved. The concerted effort by the Azerbaijani government to contort the truth and lay the blame, solely at the door of the Armenians is a cynical misrepresentation of the facts and the act of securing “political sympathy” from unsuspecting governments is one of gross deception. This is only made more obscene by the way that this has been achieved on the back of the unnecessary deaths of innocent people resulting from the questionable conduct and incompetence of the Azerbaijani authorities in 1992! I only hope that people now examine the facts and make an informed independent judgment on this issue and stop being fooled by the guile of the Azerbaijani government,” he concludes. Այսպիսով՝ կարելի է անել հետևյալ հետևությունները. 3 «Мегаполис-экспресс», № 17, 1992г. 5 «Xalg gazeti» , 26.02.1997г. ''The Assembly of Friends of Azerbaijan,'' an affiliate of Turkish lobbying organization, associated with Fethullah Gulen, an influential Muslim spiritual figure, sent invitations to Kansas Legislators to attend a meeting titled “Remember the Khojalu Tragedy.” American blogger of ''Defining the Narrative'' carried out a personal research, ending up urging his friends in the Kansas Legislature not to be misled by the Azerbaijani propaganda, as long as the events in Khojalu were ''not a genocide by any stretch of the imagination,'' unlike the Armenian Genocide committed by the Turks in 1915. He also warned that some of the photos presented during the event, could possibly be taken in other places, in Kosovo for instance, in 1999. It's noted in the article, that today Armenia is in good relations with pretty much everyone other than its neighbors -Turkey and Azerbaijan, who have blockaded the Armenians for 20 years following a war over Nagorno Karabakh which left Armenia in control of NK; Azerbaijan is unwilling to let it go. The Azerbaijanis and the Turks call the Khojalu battle everything from a tragedy, to a massacre, to genocide, the article reads. The loss of civilian life in a war-zone is indeed a tragedy, but this hardly constitutes a “genocide.” Especially, if the town of 6,000 had been warned beforehand to be evacuated, and a safe corridor was available for that purpose. Citing an excerpt from the Human Rights Watch 1993 report, the author points out to the fact, that indiscriminate attacks commenced from both sides. He also cites the British journalist Thomas de Waal, who noted that the events in Khojalu were a result of a spontaneous, rather than deliberately planned action. ''But the Azerbaijani websites such as 'Azerbaijan.az' serve as a propaganda tool to absolve Azerbaijan of any wrong doing, playing the victim, while placing all the blame for Khojaly at the feet of Armenia. Did I mention there were somewhere between 1000-3000 Jihadi mercenaries from Afghanistan and Chechnya fighting with the Azeri’s during the war?'' the blogger writes. Also, making a research over the situation in Azerbaijan, the blogger writes that the country is run by an autocratic regime of a clan who controls just about everything including the banks, the oil, the government, education and the media propaganda machine. The clan run Heydar Aliyev Foundation propagates a favorable narrative to perspective international partners and allies. Also SOCAR (the State Oil Company of the Azerbaijani Republic) hosted a large-scale lobbying event in Baku. According to an article posted on the website ''The Washington Diplomat'', 317 delegates from 42 states, including 11 sitting members of Congress, 75 state representatives and three ex-insiders of White House – political strategist David Plouffe, former press secretary Robert Gibbs and ex-deputy chief of staff Jim Messina took part in the event. The article read that Plouffe, Messina and Gibbs were given five-figure sums to speak at the forum, praising Azerbaijan. All in all, $1.5 million were spent on holding the event. In its turn, CASILIPS (Citizens against Special Interest Lobbying in Public Schools) noted that the organizer of the event was Kemal Oksuz (“Kevin” Oksuz), who is a major player in the Gulen Movement in Azerbaijan and has connections in various states. Residents of Khojalu coming out through the humanitarian corridor, that the self-defense forces of NKR had left open, freely passed more than 10 km and reached the Aghdam city controlled by the Azerbaijani troops. Later, not far from the positions of Azerbaijani troops dead bodies of the villagers were found. The exact death toll remains unknown as the official Baku publishes data contradicting each other. Parliamentary Commission investigating the tragic death of the civilians at Aghdam city was dissolved by the order of Heydar Aliyev, the investigative materials are kept secret. Panorama.am held an interview with the head of the "Xenophobia Prevention Initiative" NGO, sociologist Armine Adibekyan. - Each year at the end of February Azerbaijan with a widespread propaganda marks the Aghdam events that took place in 1992, which are called "Khojalu events". How would you comment on this campaign? - I will not relate again and again what happened that time, I'd like to talk about what's going on today. The arguments of the Armenian side can be found in the film titled “Between hunger and fire”. And if somebody needs it is possible to organize objective and rational discussion with facts and not emotions, whims and wishes. But this is not possible as it never has been before. The active and uncontrollable replenishment of the emotional sphere is the the only and primary challenge facing the Azerbaijani side, and they do it as they can. The Armenian side has repeatedly called the for discussion. - What is the grounded disposition of the Armenian side based on? - We use only the Azerbaijani sources and the chronicle of those years. We compare them with each other, and not with the "Armenian version". Our arguments are based also on the contradictions of Azerbaijani propaganda. After all, the one who tells the truth does not need to lie, to change the story and the testimonies. The falsification of photographs is the tip of the iceberg. Everything that is connected with the concept of "Khojalu" is being falsified – starting with illustrations and lists ending with the testimony of witnesses. At present they have are on a new type of retrospective interpretation and presentation of facts. For example, Gyulali Binalu who had been "in captivity" in an interview tells about "the horrors" of captivity, where he was tortured by Robert Kocharyan. However, he or maybe the journalists have forgotten that in February 1992, he had given an interview and on the newsreel he did not leave the impression of a man who had been tortured. By the way, the next day, after the interview, this group of people was transferred to the Azerbaijani side. And Robert Kocharyan not only did not participate in the interrogations, but he was not present in the newsreel either. Another "witness" in the film "When the sun went out" gives evidence, but cannot exactly remember the name of her husband, calling him Elmar Akhmedov Naib oglu, who, according to the official list of the victims, at that time, February 26, 1992 was only 6 years old. The third one, Panah Magerramov, says that he had his ear cut off, while on the photograph accompanying the journalistic investigation, we see that both of his ears are on their placec. And the photograph clearly shows that these are his "native" ears, not prosthesis. What can be expected from ordinary mortals, if "competent" people, such as Ramiz Fataliyev (the chairman of the commission of on investigation of the Khojaly tragedy at Milli Mejlis of Azerbaijan), after 23 years, instead of talking about what they know and about the results of the investigation, build their evidence based on "confessions of Zori Balayan" or authoritatively' claim via facebook that "there were 710 dead (instead of 613 yet unproven), and more than a hundred of children"? I tried to contact Ramiz Fataliyev through Facebook in order to get clarifications on topic, but received no response. By the way, any attempt to get a response from "competent" people on specific question remain in dead silence on certain allegations or facts. - The falsified lists of the dead in Khojalu have been studied back in 2012 in details. It is important to note several vital points - there are three official lists differing from one another; none of them contains 613 names (available options are: 630 names, 601 names, 508 names); over 70% of the victims are men aged 18 to 60 years, some of them have no relation to Khojalu at all - they have been killed in another time and another place. - And, nevertheless, the Azerbaijani side periodically threatens to appeal to the International Court of Justice on wording "Khojalu genocide." - As I said earlier, with such an approach and a collection of "factual" materials they have nothing to go to court with, thus the talks about the international court – the talks in favor of the poor, as well as the threats are designed for the ignorant ones. Anyway, if they are going to court with the facts that they have in their hands then I will attend that court with pleasure. As for the considering the events that took place as a genocide, which supposes "total or partial physical destruction of an ethnic group", here there are a lot of white spots too. Azerbaijan's population in 1992 was 7,324,100 people. They will have to try very hard to prove that the death of three, even six hundred people, as the report of the international organization “Human rights watch” reads, served a threat to existence of an ethnic group that consisted of seven million people. It is, I think, needless to say that basically members of other ethnic groups like Meskhetian Turks, who were settled in the epicenter of the battle deliberately, were killed. They are not looking for justice, but a "victory", as they understand it, which over the time will give them a moral justification in the eyes of the outside world for the atrocities and massacres planned against the Armenians. Perhaps it is already giving, judging by the statements of the first party of Azerbaijan, which are rather plain: "We will avenge", "Armenia must cease to exist," "we’ll be back, we’ll destroy and we’ll build our own one". In particular, the main product of propaganda in 2015 "Khojaly: A trial over Armenia" testifies this fact. People, who want to reveal the truth and justice, would call the book "The trial of the guilty." But Armenia and the Armenians are already considered as a culprit without trial or investigation. They need not the true, but the indulgency. "Khojaly," actually to the Aghdam events. What happened? for the safe evacuation of Azerbaijani population. where the people were killed and the bodies were disfigured. it as "a massacre" of civilians by Karabakh forces. the events on the international community to boost anti-Armenian moods. propaganda. Don't buy into false information and fictitious events. for Khojaly events, so look for them in Azerbaijan." the amount that Azerbaijan presents to the world by all means. (Stepanakert) airport in the Republic. killed by their own armed units. recognition of the Armenian Genocide. the war crimes. Armenia on the dock" in Russian and Turkish in St.
enough forces were located by that time to go and help the people". specifically, one of the top officials". interfere in the course of events". job of the same persons". the corridor, didn't really fire them...". This is the true and not fictional justice, the truth about Khojalu. the Khojalu myth, need it?